In the past months, an African customer executed a large Fish Farm. 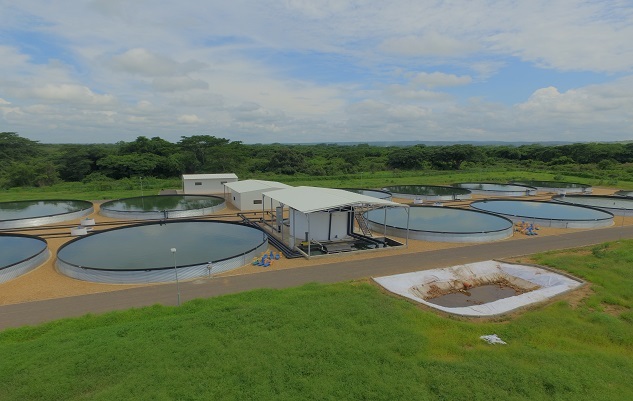 BUWATEC supplied 18 water tanks with a total capacity of 7.200 cubic meters for breeding Tilapia fish. In this fish nursery occurs both fish cultivation and the processing of fish. In this way, the entire process is managed. The project will contribute to durable and environmental friendly business undertaken on the African continent. In the coming year(s), we expect to deliver projects like these in the aquaculture. Motivated by the success, Buwatec investigates on small scale what the optimal culture conditions are and what influence our materials have on the fish. Curious? We have a wonderful video on Youtube of the complete project. Or read our previously posted message for more photos.